Net Metering in Rhode Island provides an excellent financial benefit to residential solar customers. In the past, most residential solar systems have been grid-tied and used net-metering. This means that the solar system can push extra electricity back into the utility grid and get credit for the electricity production. Net-metering provides a financial and use benefit to Rhode Island residents. As the solar array produces electricity it will first be used in the home. Any excess or unused electricity flows backwards through the utility meter, into the grid. At night, or during other periods of low solar production, electricity will flow from the grid into the home to meet electrical demand. This ebb and flow of electricity to and from a grid-tied solar home is the principal behind net metering. When you produce more than you consume you build up kilowatt-hours of credit. When you consume more than you produce, you use up kilowatt-hours of credit. At the end of the month, the utility will read your meter, just as they always do. Except, with a solar system on property, the monthly usage reading will be lower, sometimes even negative. Any negative reading will be credited to the next month’s reading. Net-Metering in Rhode Island is a great way to capture the value of solar. You sell electricity to the grid at the same price you would pay to buy it from the grid. In a Net-Metering system, the Renewable Energy Fund will contribute money up front towards the cost of the installation. 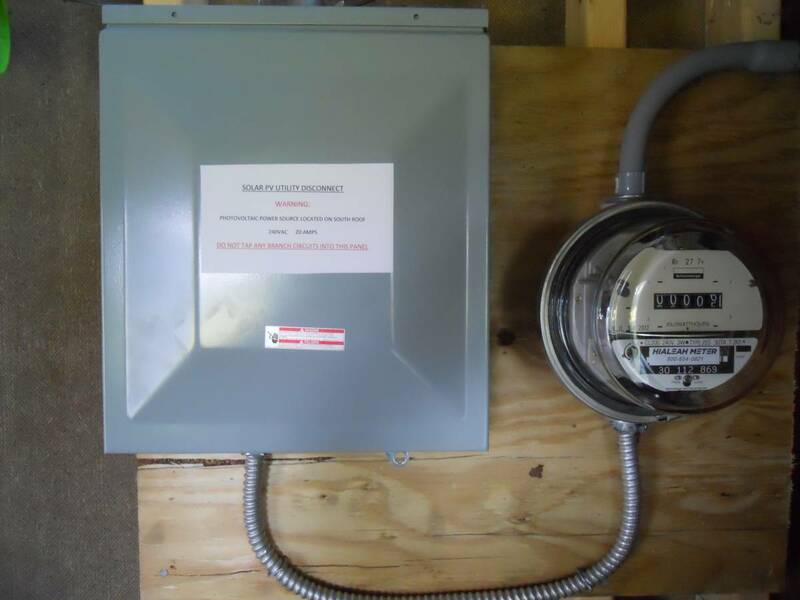 To learn more about Net-Metering from National Grid click here.